Beanbag chairs are mainstays in most family rooms, dens, and children's rooms and it's no wonder since they're casual, comfortable, and easy to move. Italian design company Skitsch just launched its Frolla armchair, an updated version of the beanbag chair that channels the informal vibe of the original but gives it a more supportive structure and sophisticated form. Designed by Andrea Radice and Folco Orlandini, Frolla is the perfect perch in which to curl up with a good book, plop down in front of the tube, or spend a lazy summer afternoon. 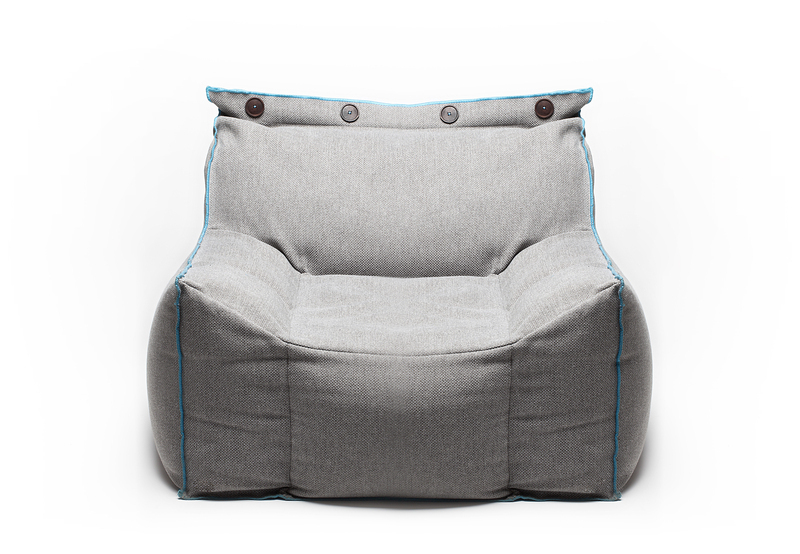 The removable cover features cordonnet stitching in an electric blue yarn and the base fabric comes in a beige or grey cotton. Retail price is €590. Visit skitsch.it for more information.